For lovers of art, history and architecture a visit to Koelner Dom is reason enough to put Cologne, Germany on your bucket list. 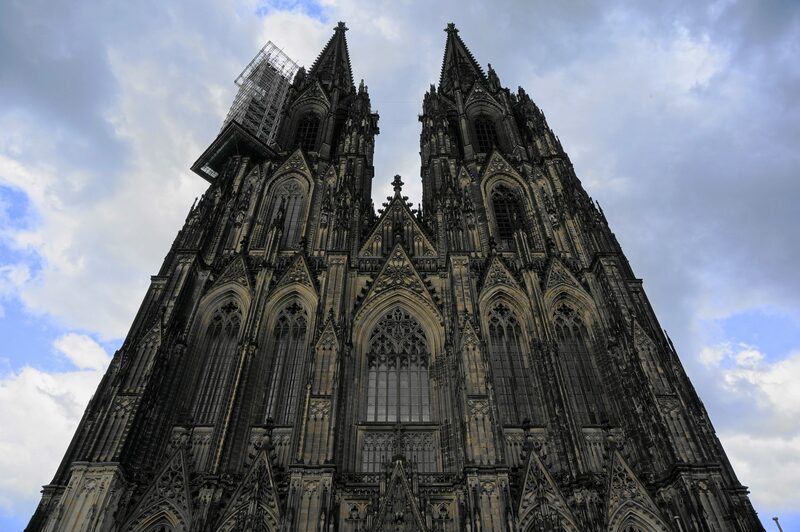 The largest Gothic church in Northern Europe, and a UNESCO World Heritage site, Cologne Cathedral was built to house the Relics of the Three Magi, making it one of the most important pilgrimage sites in Europe. Construction began in 1248, was halted in the 16th century, restarted in 1842 and finally completed in 1880, staying true to the original architectural plan. Inside the cathedral are many well-preserved artworks including magnificent stained glass windows and intricate mosaics depicting important events in the life of the cathedral and in Christendom. Entry is free of charge, but I recommend taking the 45 minute guided tour, which can be purchased at the Cathedral for 6 Euro and takes place twice daily Monday through Saturday, and once on Sunday. If you’re feeling ambitious, for 5 Euro more you can visit the treasury, where historic artifacts in gold, ivory and bronze are stored, some dating back to the 5th century, and climb the 509 steps to the top of the tower for awe-inspiring views of the city.